Team Up for St. Jude! 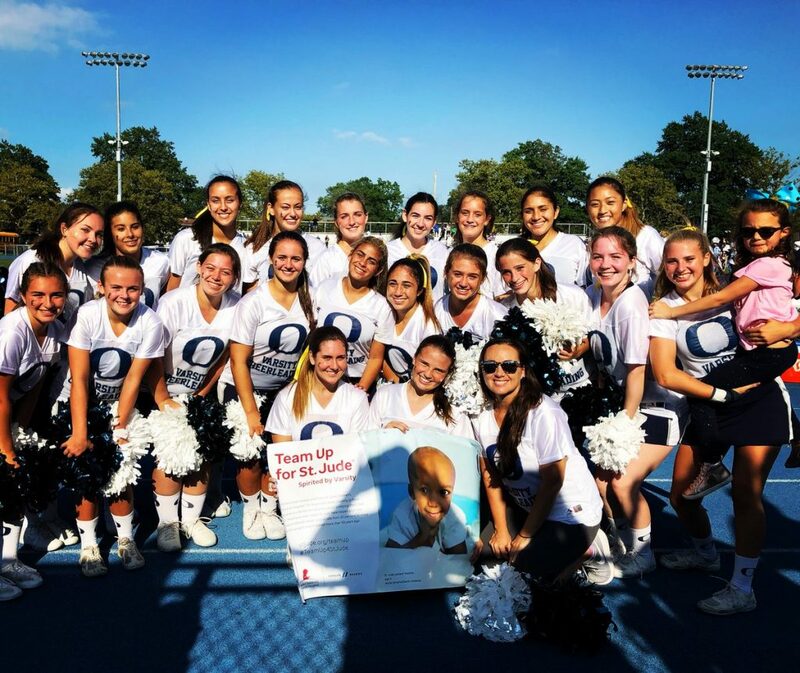 The Oceanside Cheer teams joined with Varsity to Team Up for St. Jude! At our first home football game on Saturday, September 15 and Saturday, September 22, we sold yellow carnations and yellow poms to raise money to donate to the St. Jude Children’s Research Hospital. The team wore yellow ribbons in their hair and gold St. Jude tattoos on our faces to promote the events. During timeouts and halftimes, we went through the stands to ask for donations. The community was very generous and excited to help our team raise funds for this great cause!